Its developers often referred to it in trailers as the “hottest” and “most anticipated” game of 2011, and they certainly weren’t wrong. In fact, Call of Duty: Modern Warfare 3 was the most pre-ordered game ever for retailers Amazon U.K. and Game, smashing records previously set by Call of Duty: Black Ops. “Modern Warfare 3’ received 32% more pre-orders than last year’s Black Ops,” said Liz Hosmer, game manager at Amazon.co.uk. 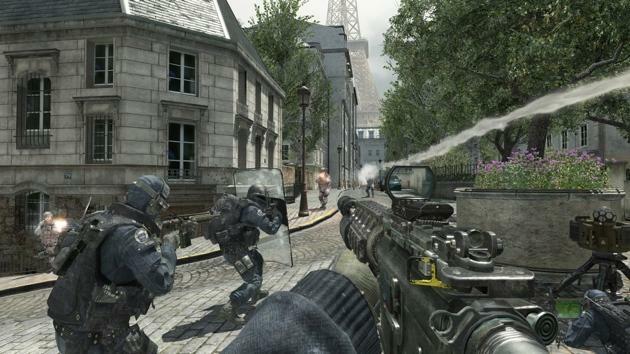 “The Call of Duty series has performed consistently well with both Black Ops and Modern Warfare 2 previously holding the all-time pre-order record. “Call of Duty: Modern Warfare 3 is the most popular game for pre-orders that Game and Gamestation have ever seen,” she said. Unlike Black Ops, which many gamers feel was one of the weaker Call of Duty games, I think those who pre-ordered Modern Warfare 3 will be pretty pleased with their purchase this time around. I’ve only had chance to play its multiplayer mode for a few hours, but so far I am incredibly happy with it. There are a few minor issues, which is to be expected, but I’m a huge fan. Did you pre-order Modern Warfare 3? What do you think of it?